Set of three graduated tone blocks with strikers. 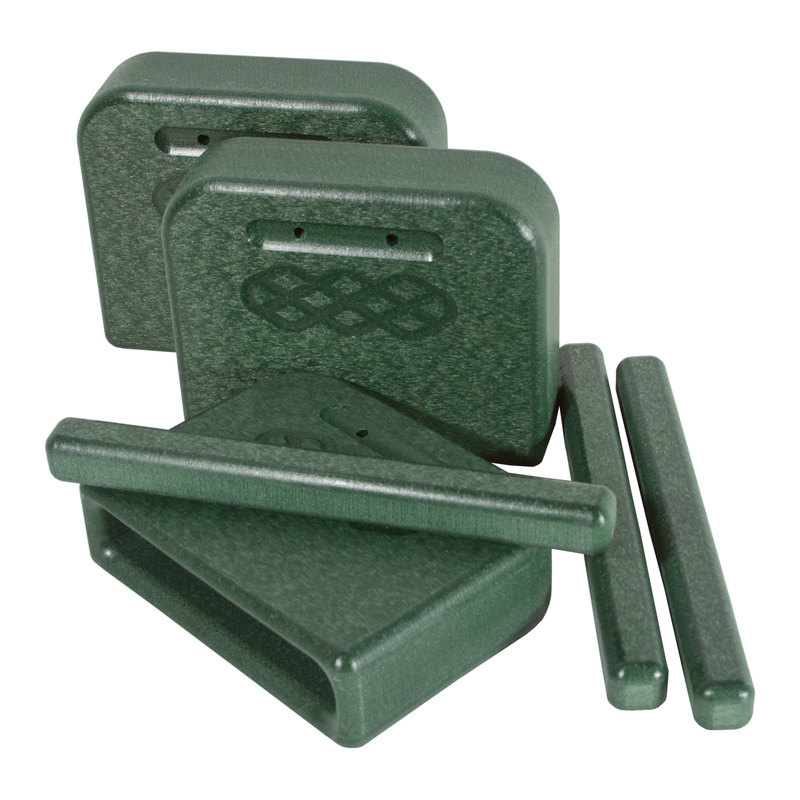 Each block is made of recycled plastic and has two pre-drilled holes for mounting on a percussion stand. The three sizes provide three different sharp pitches. Use the striker to tap the top and sides of the block for two different tones. The diamond pattern etched on both sides is decorative and gives you a scratch-surface for a guiro like sound. No drum stand; just hold the block in one hand and tap with the striker. In inches, the blocks measure 5.5 wide x 1.4 deep; the larger is 4.5 tall, the medium block is 4.25 tall and the smallest is 4 tall. The strikers are 7 x 0.7 x 0.7 inches.